Just wanted to share a quick post of this J.Crew excursion vest dup found at TJMaxx for $29.99. The brand is Cambridge Dry Goods and comes in two other prints at my local TJM: a buffalo check in red/black and another color combo of the houndstooth. 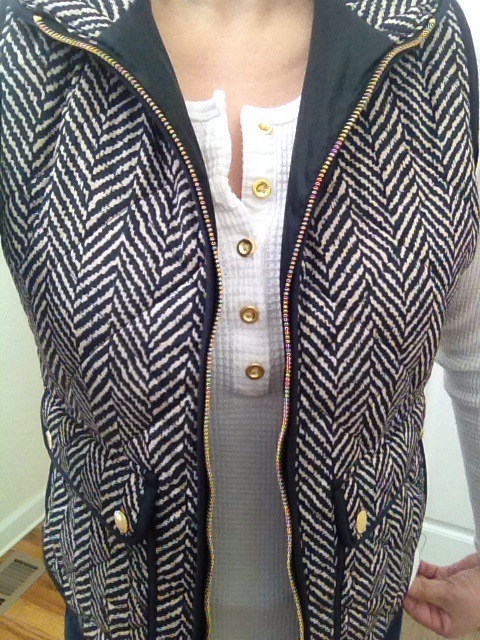 I picked up the navy/beige houndstooth version in small; I wear XS in the JCrew excursion vest for reference. The material is 100% polyester and has side pockets plus functioning front pockets. Can’t wait for cooler weather to get here. Stop by your local TJMaxx soon before they’re all gone. They have other really nice new Fall arrivals too that might be worth the visit…I know I’ll be going back soon this week. That’s it for now! Enjoy your week! 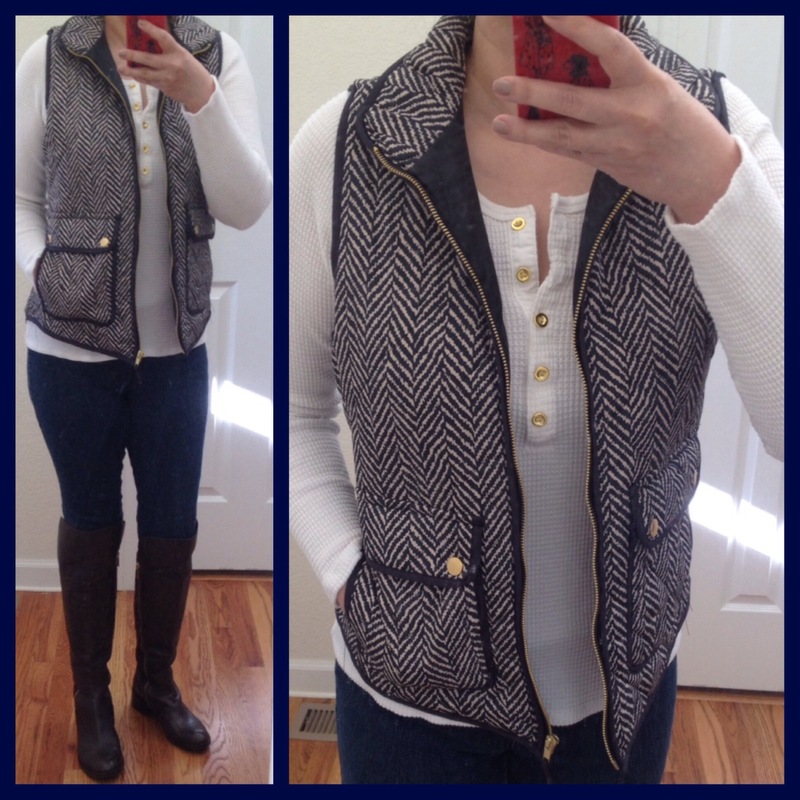 Playing dress up with the vest: JCrew waffle henley, Forever 21 skinnies and Michael Kors boots (all old).